Given this connection and the ubiquity of stress, it’s important to learn more about stress, stroke and steps you can take to reduce or manage stress. According to research that appeared in Stroke, an American Heart Association journal, middle-aged and older individuals with high levels of stress, depression, and hostility were subject to a significantly higher risk of stroke or TIA (Transient Ischemic Attack, commonly known as “mini-stroke”). In the study, nearly 7,000 participants answered questionnaires about their stress levels, which included information on chronic stress, symptoms of depression, and signs of hostility. At the time of the survey, all of the individuals were free of cardiovascular disease, but at the time of the follow-up questionnaires, roughly ten years later, 147 of the participants had suffered from a stroke, and 48 had experienced a TIA. That number may not seem high, but it was determined that the subjects with the highest stress scores were 59 percent more likely to have a stroke or a TIA caused by stress, and those with high hostility scores were more than twice as likely to suffer a stroke. The evidence that stress contributes to stroke risk was decisive. Can Work Stress Increase Stroke Risk? A second study published in Neurology examined the connection between strokes and stress at work. The study determined that people working jobs with high demand and low control (for example, waitresses or nurses) had a 22 percent higher risk of stroke than those who held jobs with low demand and high control (for example, an architect or natural scientist). The study also found that women were at greater risk of workplace stress contributing to a stroke, and the risk for both men and women was greater for ischemic strokes, a type of stroke caused by a blood clot. 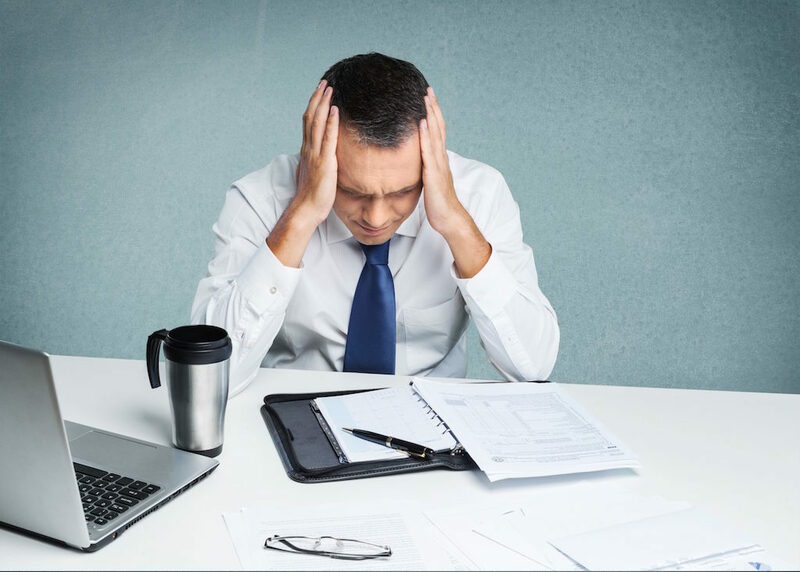 Stress can aggravate other risk factors for stroke such as high blood pressure, high cholesterol, obesity, diabetes, artery disease, heart disease, and smoking. Stress can also lead to unhealthy behavior such as smoking, reduced physical activity, and unhealthy eating. With so many sources of stress, it is incredibly important to work on managing it. A crucial preliminary step to managing stress is recognizing the symptoms. Many physical signs of stress in men and women are immediate: shortness of breath, increased heart rate, or upset stomach. 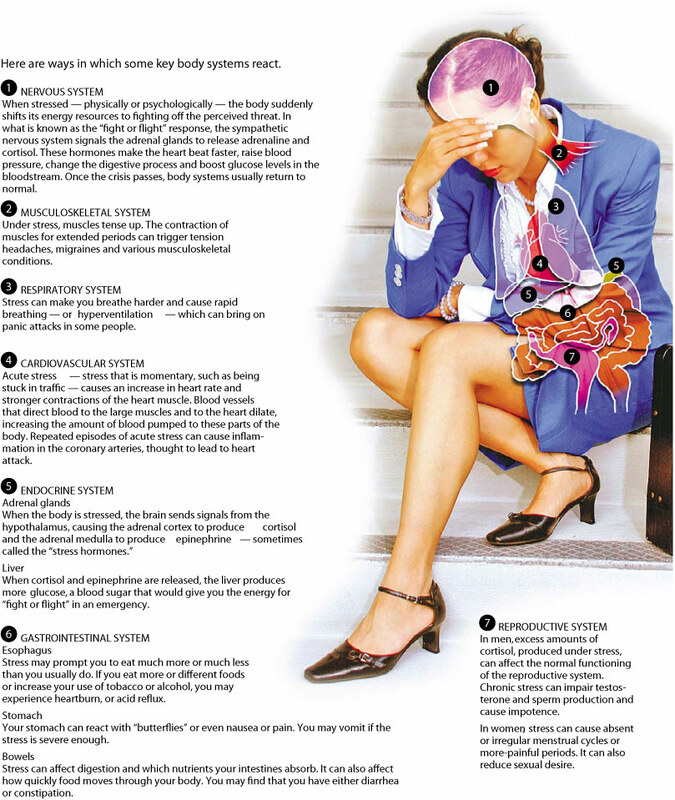 Some signs of stress in men and women, especially when there is prolonged exposure to a stressor, develop into chronic conditions like high blood pressure, depression or insomnia. If stress is negatively impacting your physical health, it is critical to get it under control. A doctor can help treat physical symptoms like stomach ache by prescribing an antacid, but the journey to optimal stress management often requires mental health treatment as well as physical. Some stressors cannot be planned for or avoided, like the death of a loved one. They are natural parts of life. Ongoing stressors, like work pressure or interpersonal issues, can feel just as impossible to avoid. Both can be worked through with the help of a therapist. Seeing a therapist can empower people with coping mechanisms, conflict resolution strategies, and fresh perspectives on their issues, helping them resolve them in healthy and productive ways. In the case of a loved one’s passing, grief counselors can help people move forward in the wake of a loss. In the case of interpersonal strife, a family therapist can help navigate tensions and be a safe space to learn and grow. People struggling with mental illness often find a great deal of support and comfort in their therapist, but it is important to remember that for clinical problems, a doctor is required. Depression and anxiety, among other mood disorders, require a licensed medical practitioner to diagnose and clinically treat. Take deep breaths. Deep, measured breathing supplies oxygen to the brain and can helps you stay calm. You can even take this concept a step further by learning meditation techniques or practicing yoga. Maintain a low-stress environment. Even somewhere stressful by design, like the workplace, you can help battle stress by personalizing your work area with plants, decorating with soft, calming colors, and surrounding yourself with personal items that bring you happiness. You can also do this at home, in your car, or wherever you feel you experience a particularly high level of stress or emotional discomfort on a regular basis. Don’t spend all day sitting down at work. Take as many breaks as is appropriate, but even more importantly, get up and move around on your breaks rather than remaining sedentary. Try not to get overwhelmed. Tackle one task at a time. Don’t overwhelm yourself by trying to do too much at once! Remember that work is not everything. Learn time management skills and find the work-life balance that meets your needs. Family time or time spent on hobbies are important for unwinding and restoring energy levels. Maintain a strong social network. Isolation can exacerbate the feeling of being overwhelmed, and can contribute to depression. Spend time with family and friends, and enjoy fun activities together to lower stress. Don’t be afraid to ask for help. If you’re struggling with stress, talk to a friend or family member. You can also consult your doctor, find a therapist, or join a support group. Be sure you’re getting enough sleep. A lack of sleep can easily lead to a poor mental attitude, a lack of alertness, hostility, stress, and an overall bad mood. Enjoy life, have fun, and treat yourself to the occasional reward. Whether you decide to book a massage, enjoy a fun dinner out, or buy that special indulgence you’ve been eyeing, you deserve to experience and savor the things you enjoy. Make sure to balance responsibilities with rewards, in both directions. In addition to managing your stress, keep a close eye on your blood pressure. High blood pressure is indicated by “the force of the blood pushing against the sides of your arteries being consistently in the high range.” High blood pressure wears down the elasticity and resilience of blood vessels and increases the likelihood of clots blocking these constricted vessels, triggering an ischemic stroke. Hemorrhagic strokes are also likely, when the blood vessels in the body are damaged and susceptible to leaking or bursting easily. If You Want to Lower Your Risk, You Have to Lessen Your Stress! 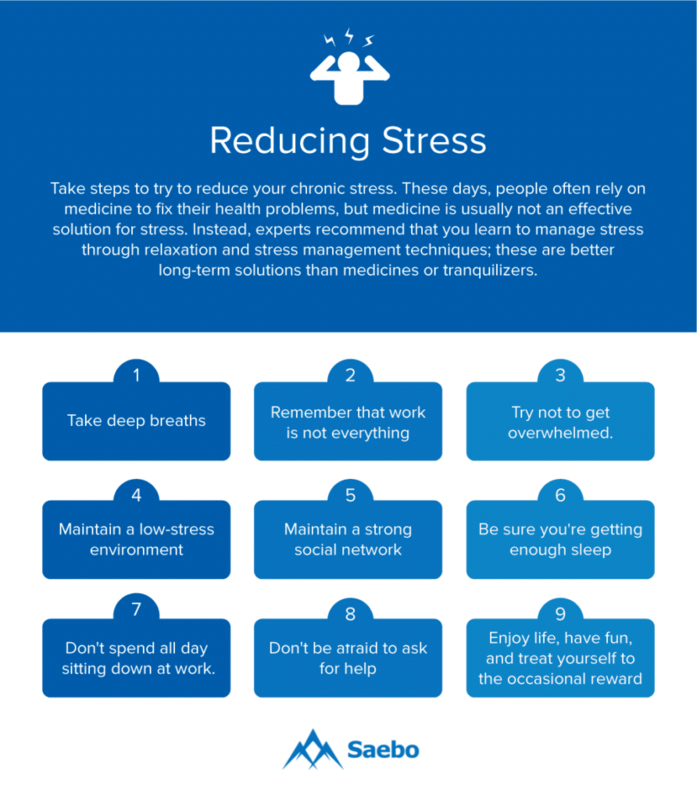 Nobody likes stress, and when combined with the significant health problems it causes, like increased risk of stroke, it becomes even more critical to practice effective stress management. There is no reality where stress is nonexistent, but having an awareness of stressors and regularly practicing stress management and relaxation techniques will not only ensure increased happiness and relaxation in your everyday life, but that you’ll be healthier in the long-term.